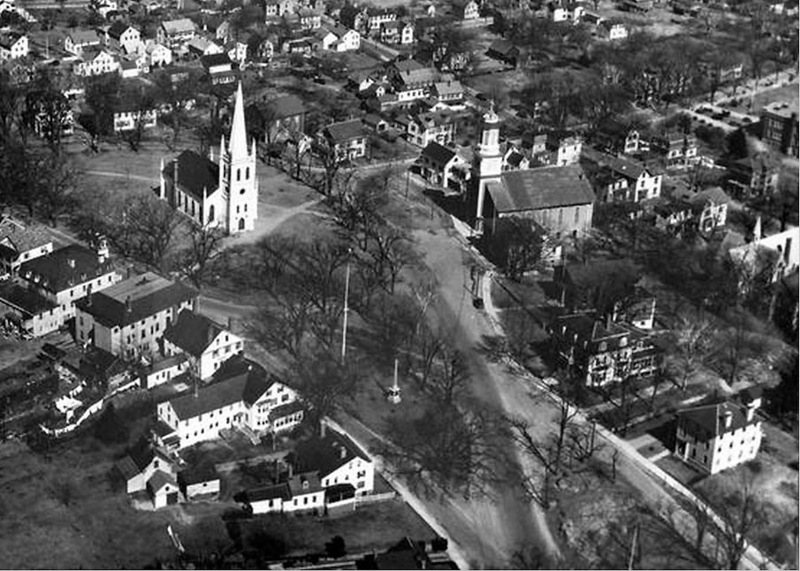 Aerial view of Meeting House Green and part of the lower North Green, from the first half of the Twentieth Century. Although the church has changed, must of the landscape remains the same. 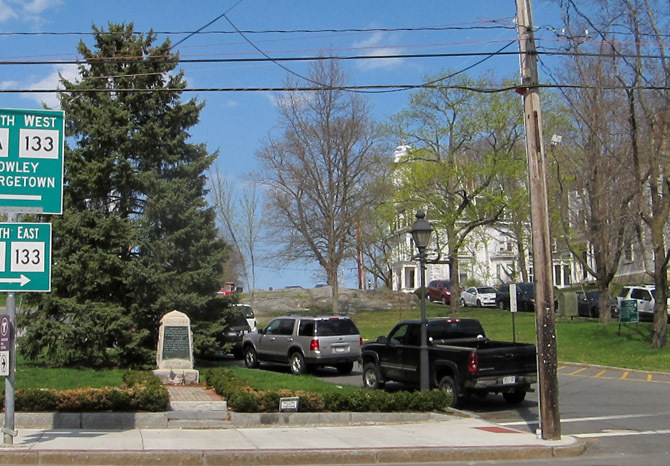 Looking up toward the North Green from Market St. 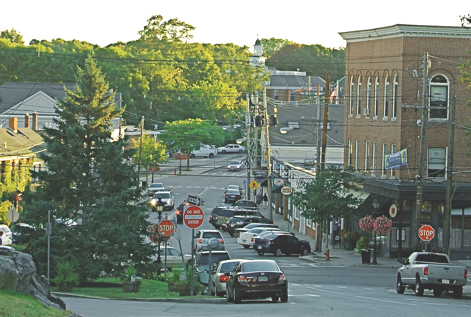 Looking from the North Green toward Market and Central streets in the 21st Century. 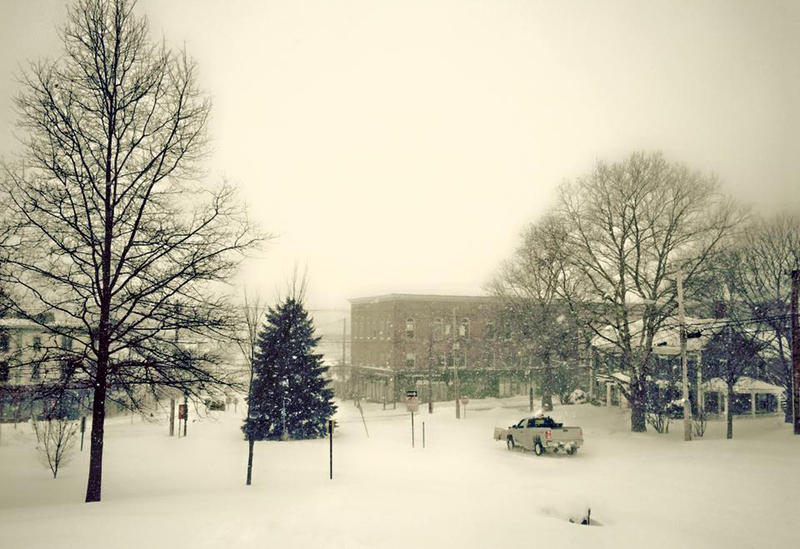 View of the Caldwell Building from the Town Green. 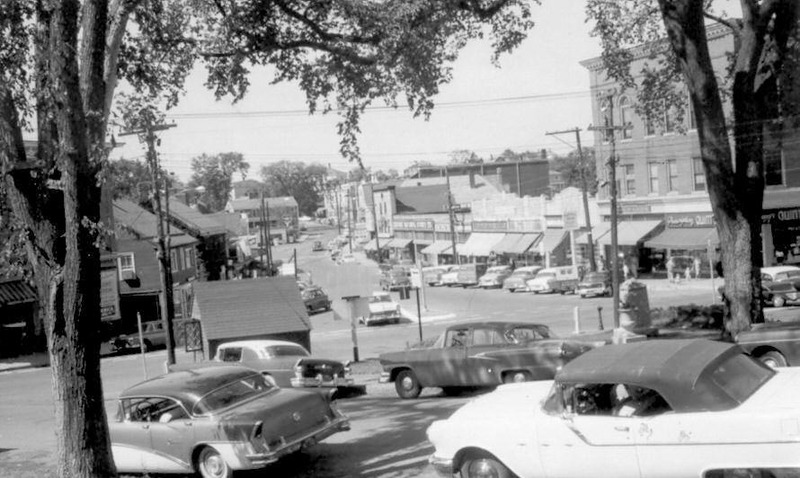 Note the row of shops that once lined the side of North Main down to the bridge. This view also shows benches and a walkway just below the rocks on the left side. 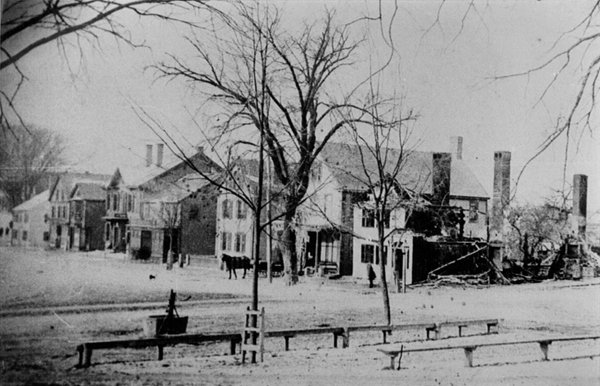 The foot of the Town Green the morning after the 1894 Central Street fire. 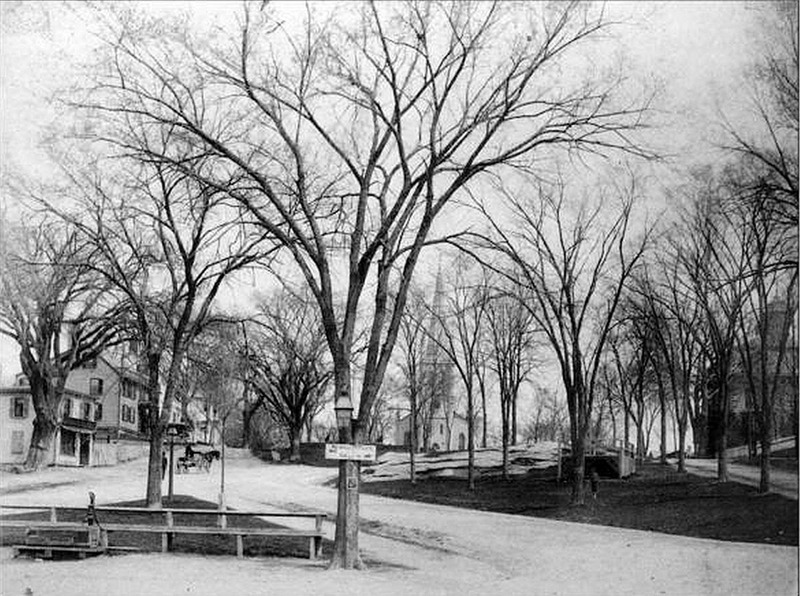 Note the water pump for the horses, and rows of benches where people once passed the day. 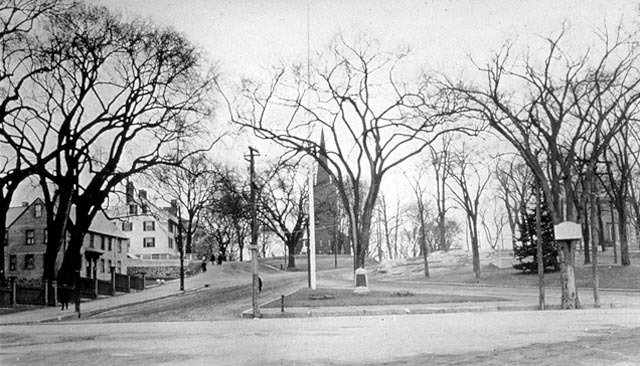 Looking up from the foot of the North Green, 1880. 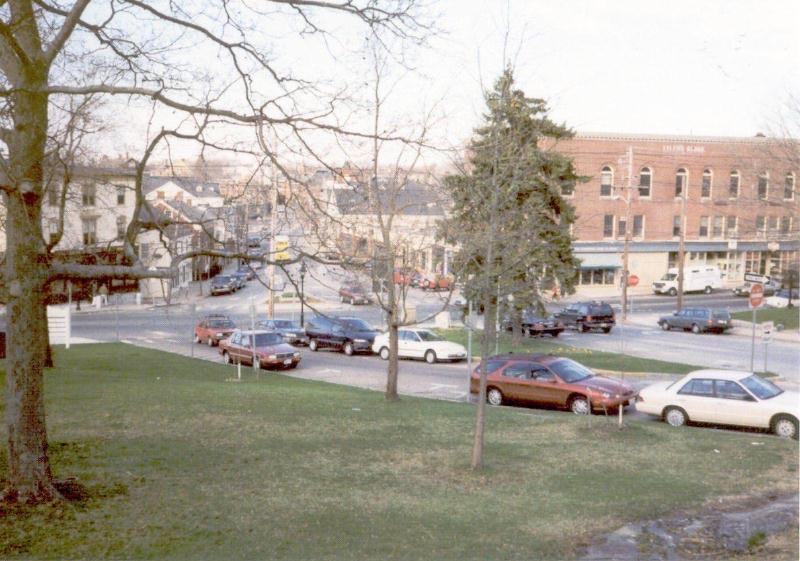 A bandstand once sat just below the rocks in the section on the right, indicating that at one time this area was used for public performances. 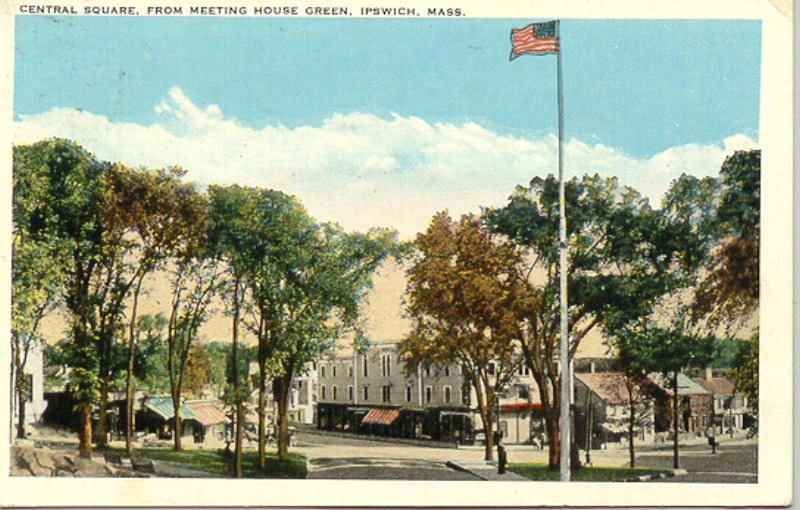 Another postcard, showing how the foot of North Green was once finely sculpted, with benches for seating, water for the horses, and a small bandstand. 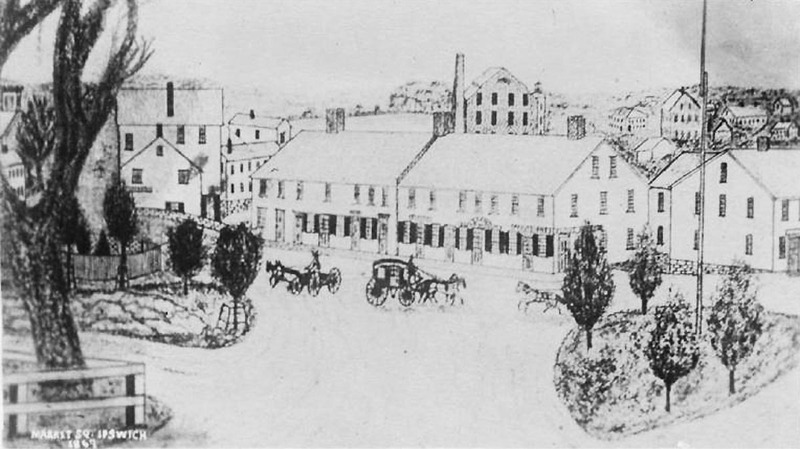 1867 sketch of Marketplace Square shows the Choate Bridge on the far left. 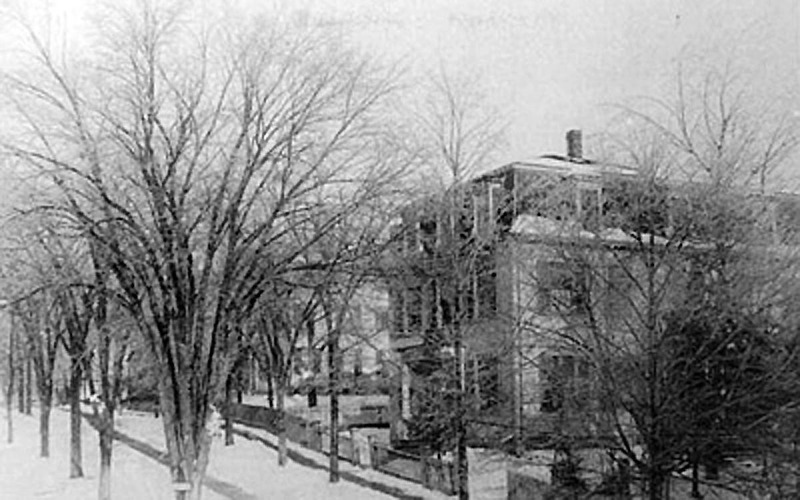 The buildings are in the location of the Caldwell Block (built circa 1870), home to the Choate Bridge Pub. 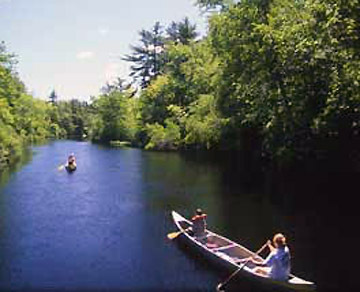 The Old Stone Mill can be seen in the background. 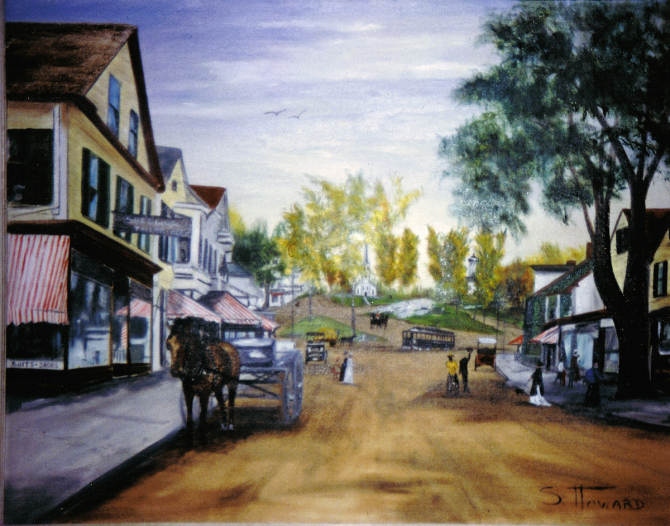 Painting by Susan Howard Boice shows the North Green as viewed from Market St. 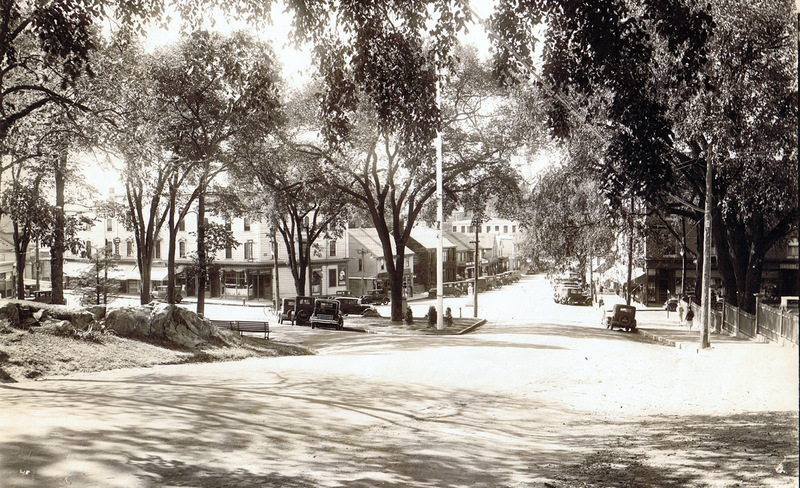 This photo appears to show the old First Church when it was still painted dark red, before 1940. 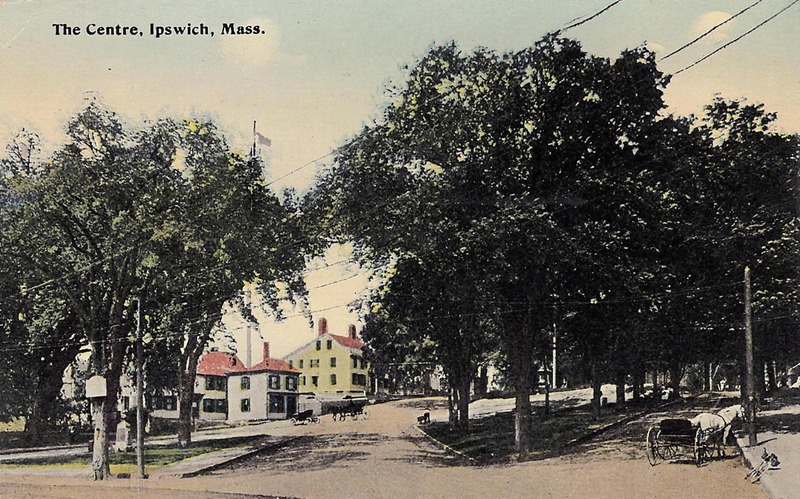 In the early 20th Century, a row of small connected shops wrapped around the corner from the Choate Bridge up North Main to the Ipswich Female Seminary. 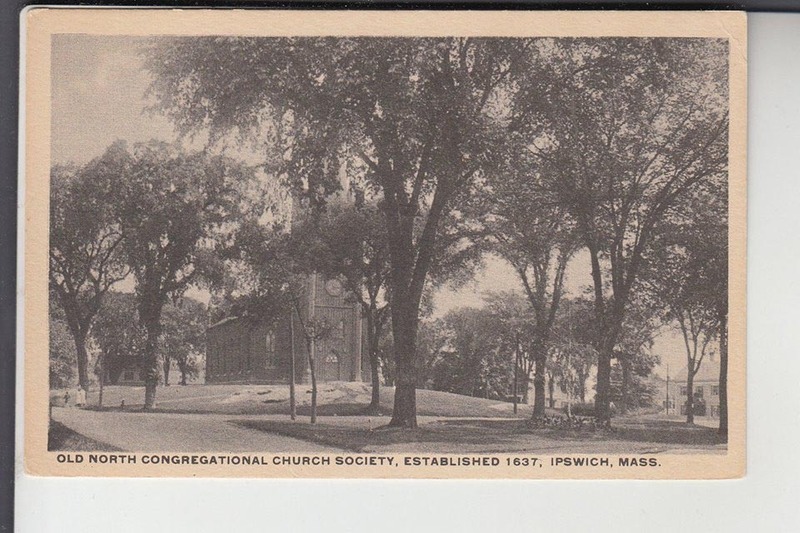 The Christian Science Church sits at that location now. 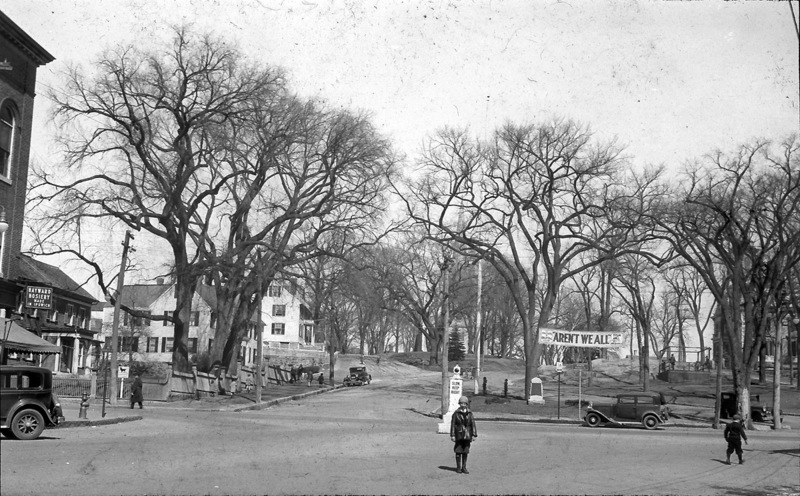 There is no trace of the elm trees that once lined North Main St. heading up the hill to Meeting House Green. 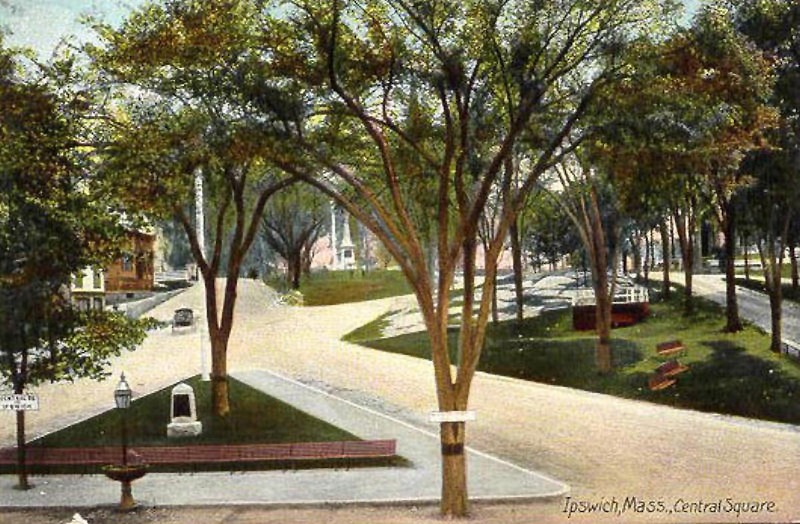 Before Central Street existed, North Main St. was the commercial center of Ipswich. 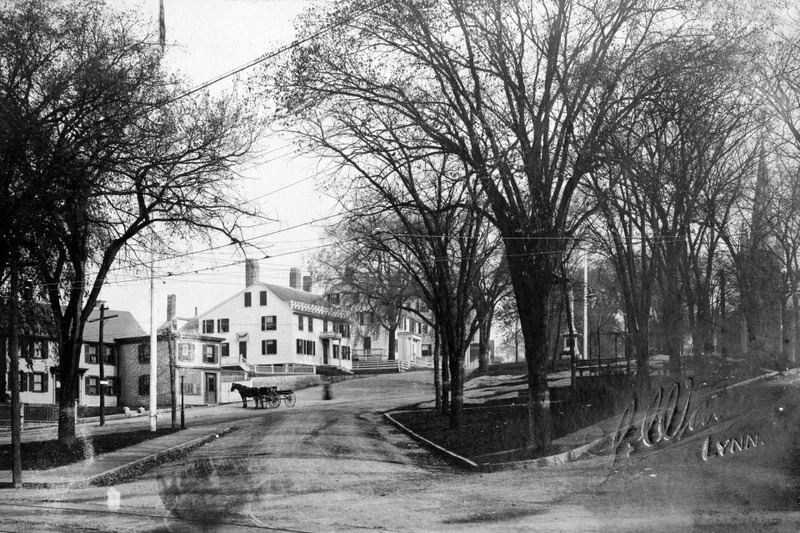 The small shop on the left no longer stands. 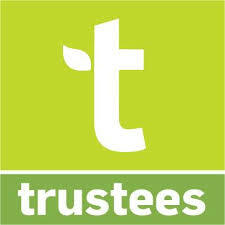 Very nice – and interesting. 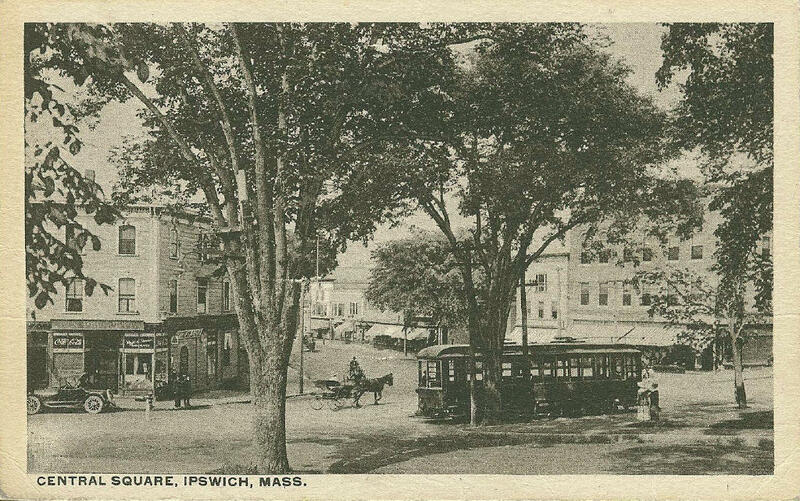 So, is this like the main town square of Ipswich? 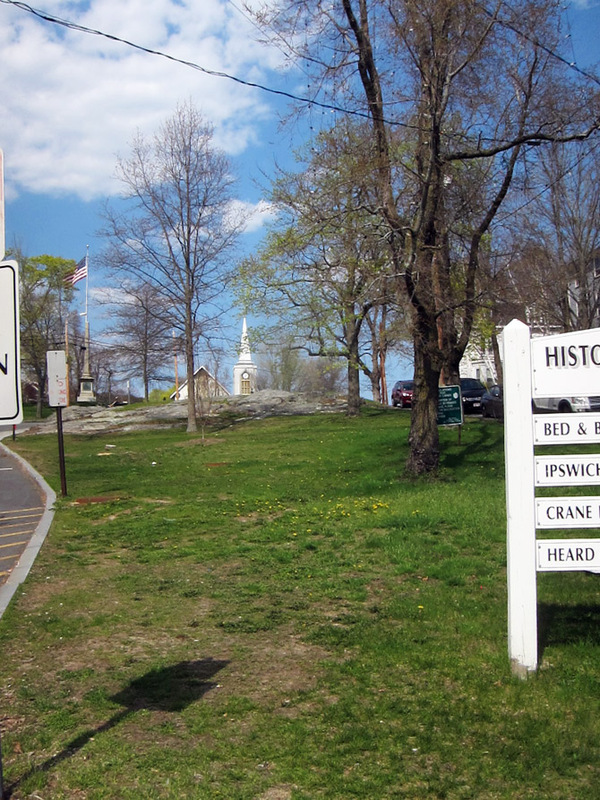 I note hills also, so is Ipswich hilly? Here in the Midwest, I don’t think I have EVER seen a church painted red! 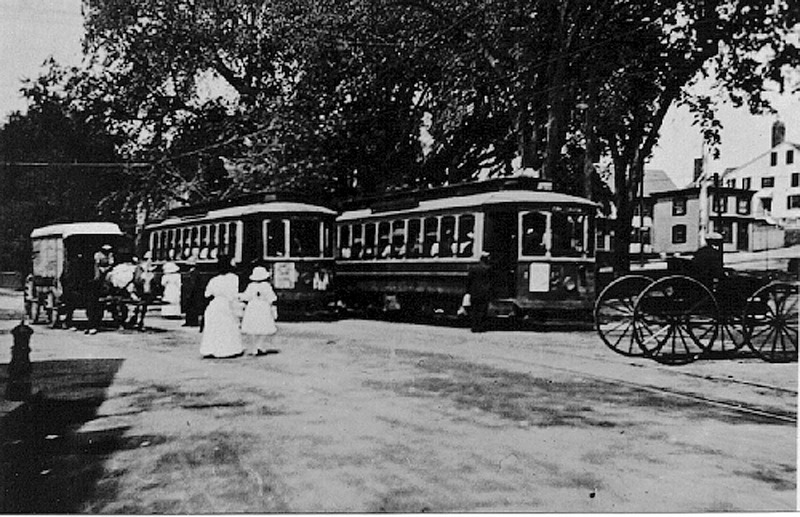 I like the photo from 1880. Also, I have to wonder if the photo of the Female Seminary had the same architect as Nachusa House in Dixon, Illinois (built 1838) where I lived for some years on the top floor! Yes, we have a rolling glacial terrain. The church was painted red at the suggestion of famous Ipswich artist Arthur Wesley Down. 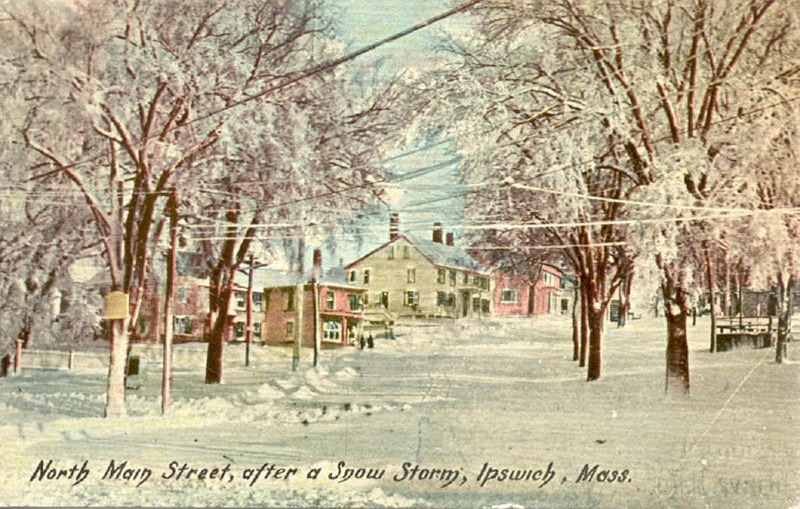 The Ipswich Female Seminary was originally a hipped-roof building, but in the second half of the 19th Century, Mansard roofs were added to many of these federal-era structures in order to provide a third floor.